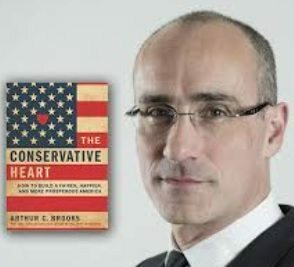 Known best for his work on the junctions between culture, economics, and politics, Arthur Brooks is President of the American Enterprise Institute and a critically-acclaimed thought leader of our times. Drawing from his bestselling books, Gross National Happiness: Why Happiness Matters for America and How We Can Get More of It and Who Really Cares: The Surprising Truth About Compassionate Conservatism, Brooks will share his perspectives from research and experience on charitable giving, the state of America’s economy and culture, the promise of opportunity, and America’s pursuit of happiness. Join us for a thought-provoking and engaging dialogue that will promise to shift your thinking and challenge your perspectives. Program Information: Doors open at 11:30am; Program begins at 12:15pm. Is there is a conservative response to “No Easy Day” book controversy?